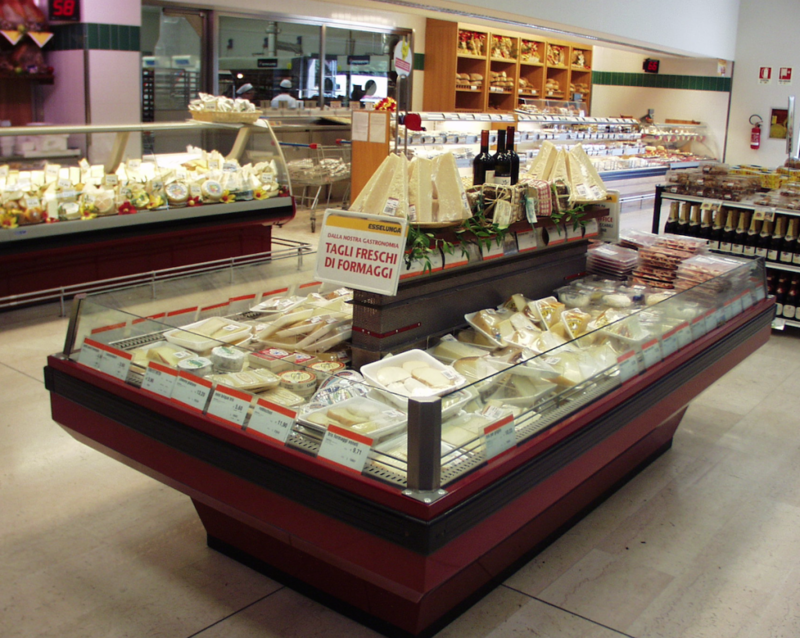 Asiago cheese, both fresh and aged, can be found in different sizes in the retail market. From those offering a higher level of service (wedges, flakes or grated), to the more traditional (whole cheese, a quarter or a eighth of the entire piece). For those cheeses without any rind (sliced or grated) where the cheese mark is eliminated, the packaging must take place in the production area that is in Veneto in the North East side of Italy. The weight of the packages varies depending on fresh or aged Asiago cheese. The fresh cheese starts from 200 g up to the more common 350-400 g. The aged cheese for foreign markets is usually 200 g, whereas for the Italian market it generally is 250-300 g. The packaging for the cheese wedges is in flow-packs with a modified atmosphere. A whole piece of fresh Asiago for foreign markets is vacuum packed, while the aged pieces do not require any special packaging. During transport the ideal temperature for Asiago cheese is between 4 and 6 ° C.
The price to producers in the wholesale market remained stable throughout 2014 due to the production plan which was introduced last year by the Consortium which has supported and protected Asiago cheese. Fresh Asiago, which is worth 80% of sales, costs in the region of € 5/kg, while aged Asiago varies from € 5.5 to € 20 plus per kg, depending on how long it has been aged for. "Mezzano" which is aged from 4 to 6 years, is in the region of 6-7 €/kg.